Five young civil servants from the Western Balkans finished their visit to Serbia, during which they were introduced to the functioning of the public services. The activities are a part of the “EU Scheme for Young Professionals in the Western Balkans”, funded by the European Union and implemented by the British Council. 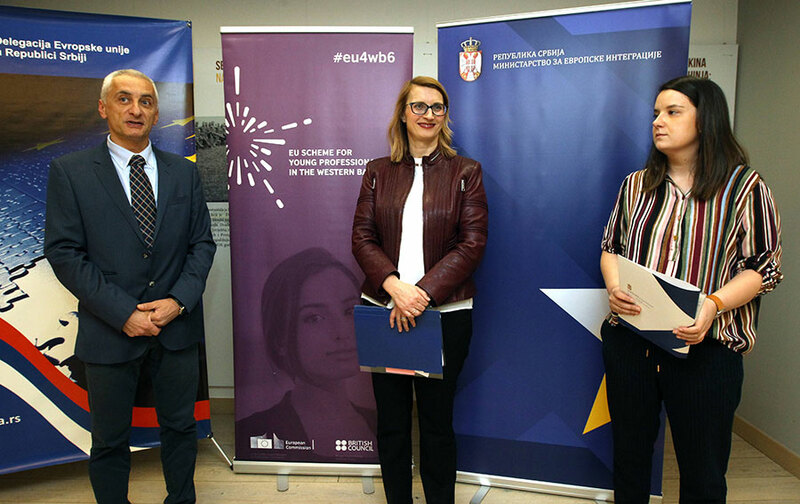 The closing event was held at the EU Info Centre in Belgrade, and was attended by the Deputy Head of the EU Delegation to Serbia Mateja Norčič Štamcar and the representatives of the Serbian Ministry of European Integration . You are an important pillar, future leaders, you will fight for the necessary changes in your countries. I hope you will use the network and contacts you made and that you will keep in touch, that you will be the ambassadors of your countries, both in professional and personal life,“ said Norčič Štamcar. “This project contributes to professional development, as well as networking of civil servants in the region. 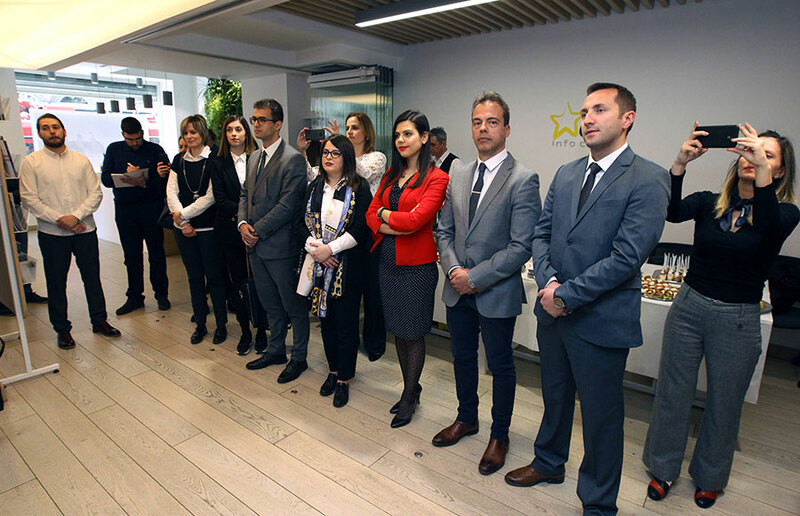 We will also support the following project phases, as well as every future step assisting in civil servant development,” said Assistant Minister for European Integration Tamara Delić. This year, the group of participants that spent two weeks on the regional exchange in Serbia are Arber Gola from the European Integration Section of the Municipality of Djakovica, Arta Adžiu from the Office of the Deputy Prime Minister of North Macedonia, Ilija Mugoša from the Office of the President of Montenegro, Tamara Bajkuša from the Ministry of Foreign Trade and Economic Relation of Bosnia and Herzegovina, as well as Kestrina Ramalari from the Albanian Investment Development Agency. Apart from strengthening regional ties and exchange of experience, the regional exchange also includes writing of group papers. The group in Serbia was assigned the topic “Economy, Competitiveness and Investment Climate Strengthening within the EU Accession Process” and the group members will complete their paper in May.